Electroless Plating with copper, nickel or nickel plating over copper are cost effective methods that address a wide range of engineering requirements for plastic components. A full range of conductive paints that can be applied to plastic components for EMI/RFI shielding and electrostatic discharge (ESD) prevention. Form-In-Place Conductive Gaskets can be dispensed onto flat surfaces, into grooves and top of walls with landing area as narrow as 0.025" (0.625 mm). 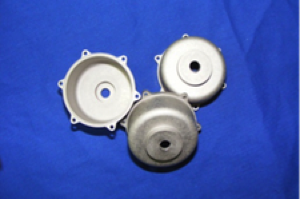 Electroless nickel plating aluminum is a process for chemically applying nickel-alloy deposits onto aluminum substrates using an auto catalytic immersion process without the use of electrode. Bright chrome plated plastic with environmentally friendly trivalent chrome plating plastic chemistry (RoHS Compliant). Mil Spec and Chemical Agent Resistant Coating (CARC) painting services for military equipment. We are qualified to apply both Mil Spec primer and CARC coating. Cybershield has executed an agreement to acquire substantially all of the assets of Seleco, Inc., based in Indianapolis, IN. This includes the acquisition of the “Seleco Plating Process” that is used to selectively plate plastic parts. For more information, see newsletter, “Cybershield Acquisition of Seleco Assets”. Cybershield offers widest range of EMI/RFI shielding solutions on plastic components and systems with electroless plating and electroplating, conductive paint as well as EMI gasket dispensing. Cybershield EMI/RFI systems offer shielding effectiveness from 60-120 dB for frequencies up to 10 GHz. Electrostatic discharge can be prevented with application of conductive coating onto plastic components. Conductive Coatings with plating or conductive paints have demonstrated excellent ESD prevention results. Light weight, low cost plastic antenna and waveguide systems can be manufactured to exact customer requirements. 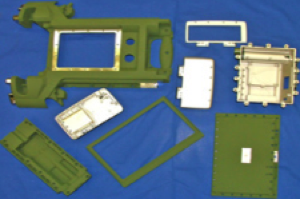 Electroless plating can provide the needed surface conductivity for excellent antenna/waveguide performance. 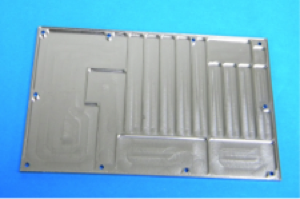 Molded and plated waveguides can replace heavier and higher cost machined or die cast metal parts. Cybershield offers bright chrome plated plastic with environmentally friendly and RoHS Compliant trivalent chrome plating. Chrome plating capabilities meet automotive exterior specifications and can be produced in prototype quantities as well as high volume production requirements. 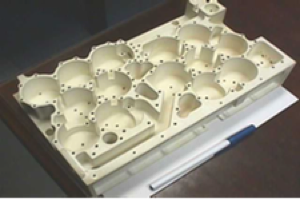 Protecting plastic components from harsh operating environment can be achieved with plating. 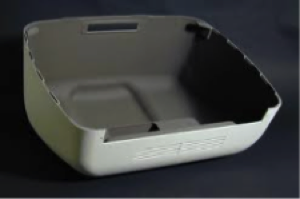 Cybershield can deposit plating systems (metals and thickness) tailored to protect the plastic component from harsh chemicals, fumes, abrasion and even high temperatures. Cybershield robotically dispenses Form-In-Place Conductive Gaskets onto flat surfaces, into grooves and top of walls with landing area as narrow as 0.025" (0.625 mm). 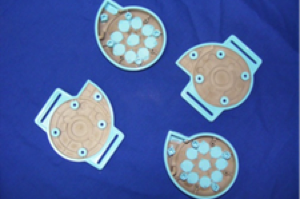 EMI gaskets shield electronics inside device, prevent interference within the electronic device, from one compartment to another, and control radiated emissions. Cybershield offers trivalent, RoHS and ELV compliant aluminum chromate conversion coatings for corrosion protection of aluminum components per MIL-DTL-5541. 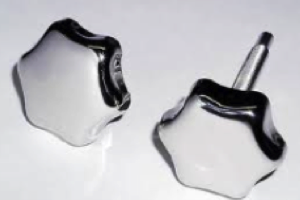 Additionally, we deposit electroless nickel plating on aluminum that provides uniform, hard and lubricious coatings per AMS-C-26074, AMS 2404, MIL-C-26074 and ASTM B733. Cybershield offers Mil Spec CARC painting services, including MIL-DTL-64159, MIL-PRF-22750, and MIL-C-85285 to name a few. 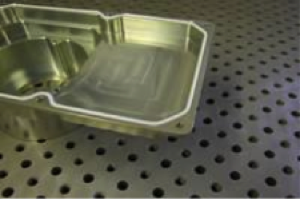 Substrates include plated plastic as well as aluminum and steel. 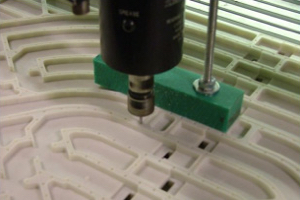 Cybershield offers both manual and robotic spray application methods to support prototype and low volume quantities as well as high volume production requirements. Cybershield offers value added services to streamline customers’ supply chain, improve quality and reduce costs. Beyond our core plastic and aluminum finishing capabilities, services include injection molding, decorative paint, insert installation sonic welding, gasket installation, part marking, precision hole tapping and mechanical assembly services. Download the Cybershield Brochure to obtain more information about metallized plastics and other manufacturing services offered by Cybershield. Contact Cybershield for Technical Specifications, EMI & RFI shielding effectiveness data, Process Capability, and Application Assistance. All materials contained in Cybershield plating, conductive paint and conductive gasket systems comply with European Union Directive 2002/95/EC, "Restriction of Use of Hazardous Substances (RoHS)". Cybershield certifies that all plating conductive paint and conductive gasket materials do not contain any of the materials or substances specified as Substances of Very High Concern (SVHC) as referred to in the EU REACH initiative. 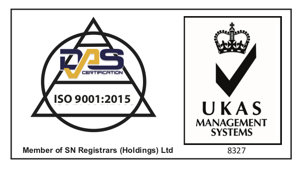 Contact Cybershield to obtain RoHS and/or REACH certification. Cybershield of Texas will work with its owner, employees, customers, suppliers, and regulators to continually produce high quality products, services, and timely deliveries at competitive prices. Cybershield maintains quality objectives to accomplish these goals in a profitable, ethical and professional manner. Management through open communication with its customers, suppliers, regulators and employees, will continue to improve its quality management system.